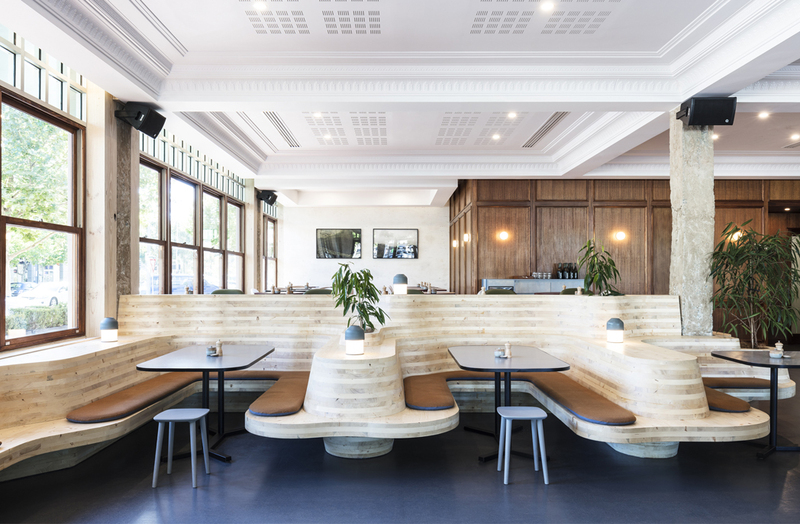 A day-to-night confluence of natural and man-made elements is the signature of this new hospitality venue in Canberra’s inner-north. 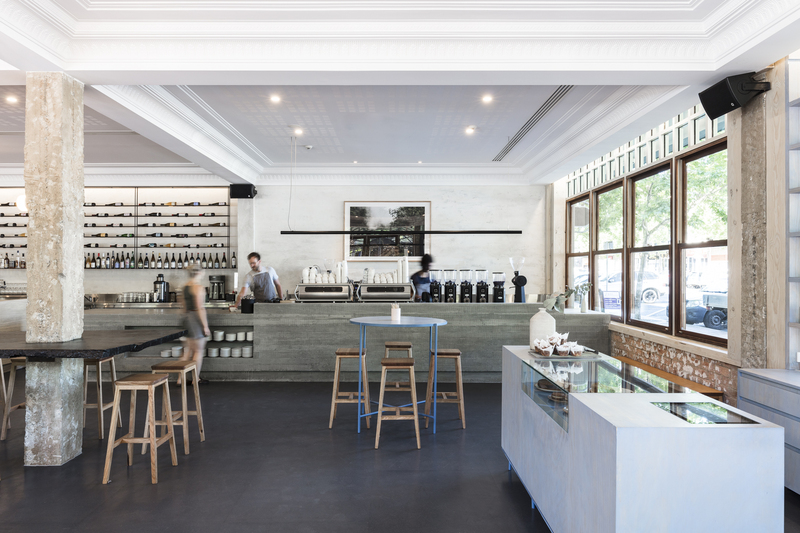 Foolscap Studio was tasked with creating a space that Canberra’s inner-north would value as a genuinely unique hospitality experience – a place to call their own, without journeying into town. 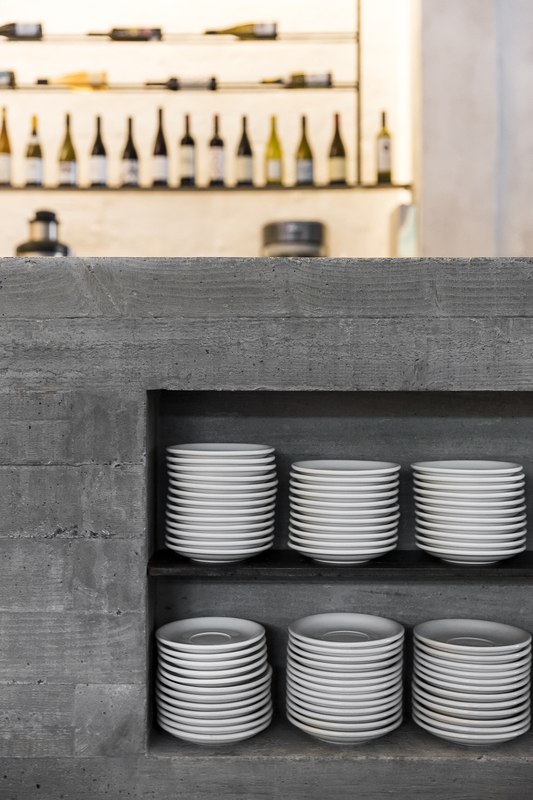 The team behind the venue, which is named Highroad, developed a brief that strongly resonated with the studio’s own principles: the confident and specialist delivery of quality products, happy experimentation delivered with flair and remaining approachable and humble. 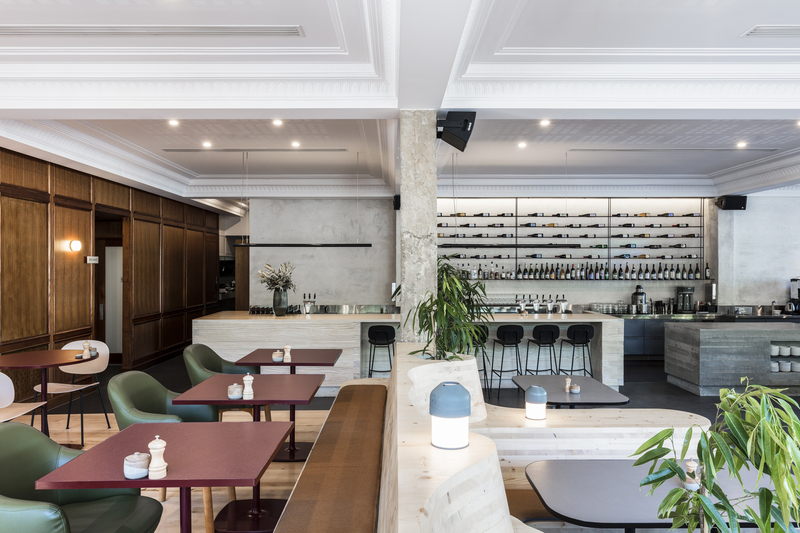 The site had been occupied by successive hospitality venues, and while the brief required removal of key identifiers of previous tenants, Foolscap Studio retained a number of existing building features that suited its new aesthetic. The result is a fresh and welcoming environment, with a balanced tension between old and new, and a contemporary Canberran personality. 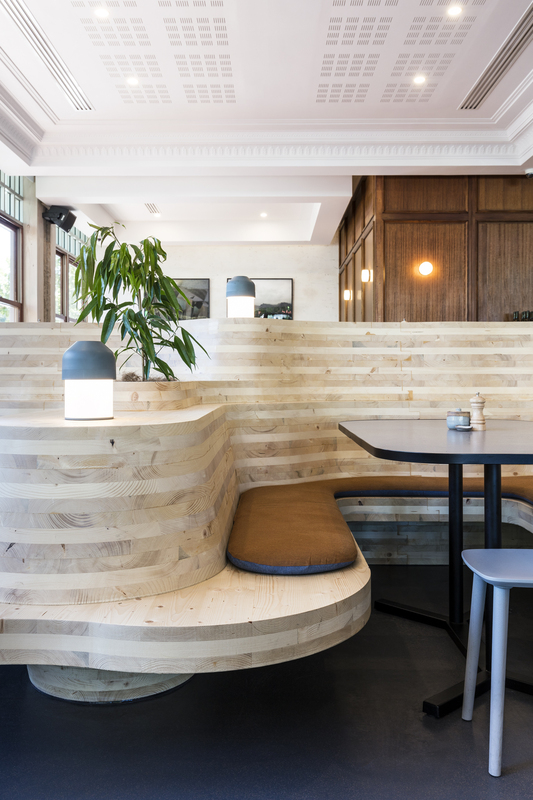 “Like the bush surrounding our nation’s capital, raw and natural elements – like the charred timber communal table – sit happily next to refined details, such as period cornices and stately wood panelling and new custom bluestained waiter stations finished with powder-coated metal detailing,” says Foolscap Studio founder Adele Winteridge. Materiality, furniture and colour selections reference the surrounding land and cityscape and are rendered in a complimentary juxtaposition of textures. The studio also used Cross Laminated Timber (CLT), which provided the opportunity for experimentation. Take a look at Foolscap Studio’s recent work for Chandon.